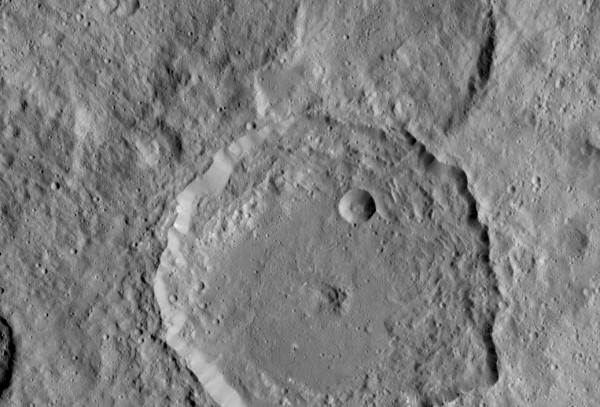 NASA’s Dawn spacecraft has captured the closest images yet of the dwarf planet Ceres. It’s currently orbiting at an altitude of 915 miles above the surface and it will get even closer in late October, when it enters its final orbit at an altitude of 230 miles. Dawn arrived at Ceres on March 6, 2015, marking the first time a spacecraft had ever visited a dwarf planet. The latest images show a four-mile high mountain, the Gaue crater, and a mountain ridge. Dawn is using its advanced framing camera to take photographs with a resolution of 450 feet per pixel, with plans to completely map the surface of Ceres — which measures 590 miles in diameter — six times over in the next two months. The images are so detailed NASA will be able to create a 3-D model of the dwarf planet and hopefully solve the mystery of whether Ceres’ “bright spots” are actually signs of ice.